Added on November 21, 2011 by Ben Chapman. In Episode 6 Don and Ben talk petting zoos and risk management strategies. Ben rants about his neuroses with animal contact while Don analyzes these fears (for free). An outbreak of E. coli O157 linked to the North Carolina State Fair. What a well known quickserve restaurant might look like (here, here or here). A list of petting zoo-related outbreaks. Some other pathogenic E. colis. 2004 North Carolina State Fair petting zoo-linked E. coli O157 outbreak (108 cases). What a hippie Ben looks like, and a picture of his Birkenstocks and water tub. Why Ben is worried about railings, sawdust, etc at petting zoos. Howling Cow; NC State Ice Cream. Fireman Sam, who Ben's son often emulates. Valuing a safe petting zoo. Freehold Borough, in the garden state, where Don lives and can't raise chickens in his backyard. Deli meat risks and pregnancy another risk benefit trade-off. Potential for microbial contamination of spinach through feedyard air/dust growing in close proximity to cattle feedyard operations. Benefits that raw milk drinkers see that can outweigh risks for some individuals. Ben on TV; those are not his jazzy hands at the bottom. A way of getting things off of Ben's TV. Handwashing encouragement signs at the North Carolina State Fair (October 16, 2011). Inspecting food vendors at the North Carolina State Fair. 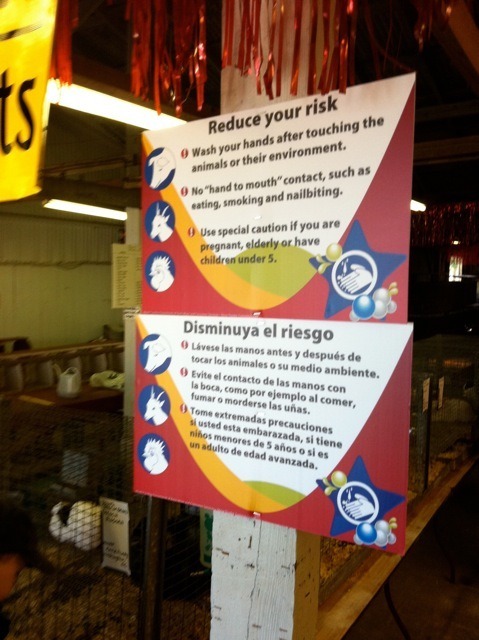 North Carolina petting zoo sanitation and communication regulations. NC State Expert Offers Insight On E. coli Outbreak. Risk of Salmonella from reptiles. Foodborne illnesses aren't just numbers. The satire of bridging masters. 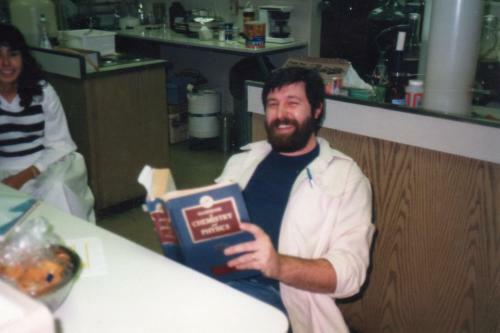 What professors looked like before iPods. The Pearl Jam documentary that Ben is obsessed with. Why Don and Kristin may never leave the couch again. The Instapaper sage Marco, who has blogged about TV watching.